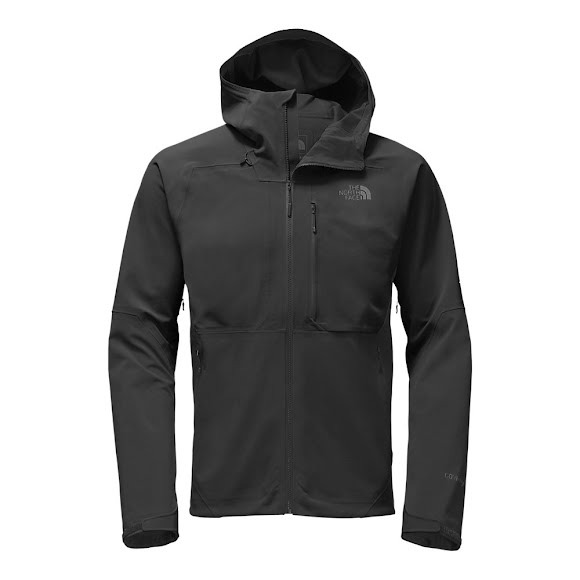 Seek no shelter when the rain hits in this updated, lighter version of The North Face's innovative Apex Flex GTX® Jacket that features a waterproof, breathable Gore-Tex membrane with a soft-woven face and lightweight stretch-knit backer for three-layer protection. Seek no shelter when the rain hits in this updated, lighter version of The North Face &apos;s innovative Apex Flex GTX® Jacket that features a waterproof, breathable Gore-Tex membrane with a soft-woven face and lightweight stretch-knit backer for three-layer protection. A soft shell technology breakthrough. Apex is a signature material, researched and developed exclusively by The North Face, making the fleece/shell combination possible through its proprietary blend of characteristics. Apex offers the dynamic duo of a tightly woven abrasion-phobic face for protection, and a soft-brushed interior for performance and comfort. Apex technology is built to stretch for comfort and mobility and is treated with their Durable Water Resistant (DWR) finish.